Leia is 8 and suffers from a rare chromosome disorder which means she cannot walk, talk or do anything for herself. 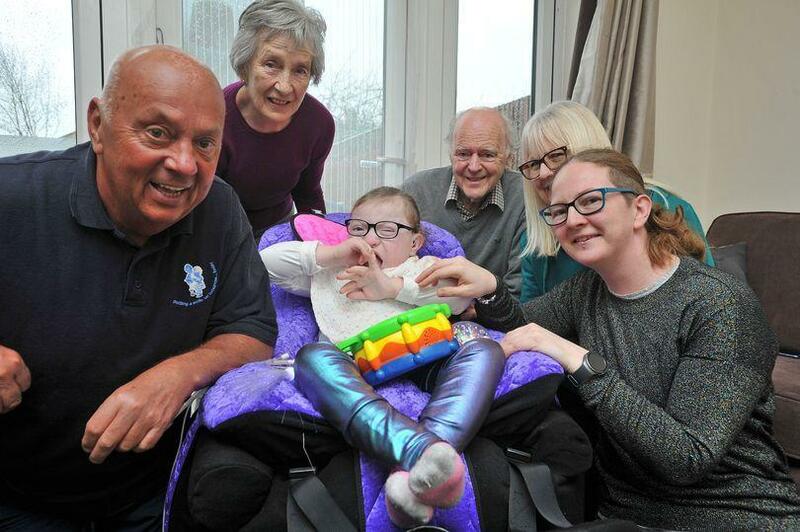 The seat we bought for Leia is called a P Pod and is a custom moulded seat designed to support her. Leia's mother, Cat, got in touch with a charity called New Life who fund raises for special needs children. They went to the local paper, Woking Advertiser, for help, but we picked it up and a few weeks later the chair was delivered. "Since having the new chair, it's been great. She is safe, comfortable and happy, and is able to enjoy her time with the rest of us. She's at the same level as us, so we can chat to her and she can see us, and she's much happier now. We will be forever grateful for what they have done for Leia."